I would like to thank everyone who attended our Free Pattern and Demo Day this morning. We had a great turn out. I, especially, would like to thank everyone who gave me treats and scratches. The treats were very tasty and the scratches felt so good. It's time to start thinking about your Christmas projects. 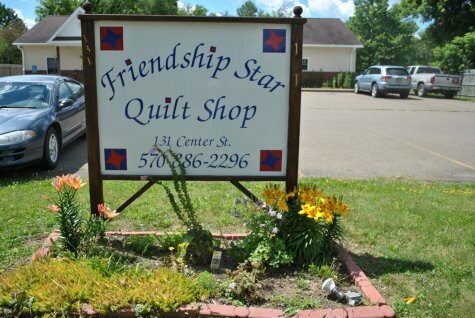 Monday, August 6- Tuesday, August 14, our Christmas fabrics will be 25% Off. 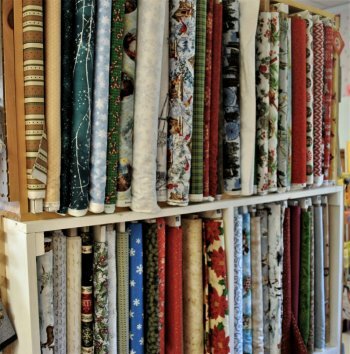 For our out of town folks, we have a coupon code you can use to order Christmas fabrics at our sale prices during Monday, August 6-Tuesday, August 14. I'm sure you remember me having to mention we carry push in LED light bulbs. 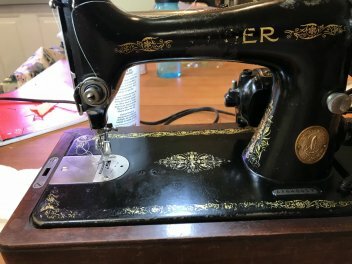 Mom restored a Singer 99 that was given to her. She put a LED light bulb in the sewing machine. We would like to show you the difference in lighting between the regular and LED light bulb. It's also gets very hot & burns you LED light bulb is cooler & won't burn you. Yes, LED light bulbs are more expensive but they are worth investing in. If for no other reason than to prevent getting burned and they are much brighter. The LED light bulb will fit most push in light socket sewing machines. 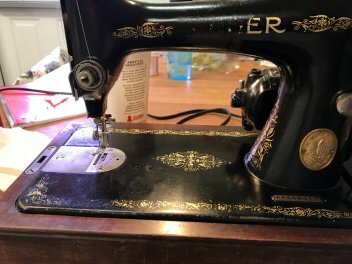 They are really nice for Vintage Sewing machines whose light bulbs tend to make the shield and sewing machine a little too toasty for fingers and hands. We try to bring you products to make your hobby safer, brighter and a lot more fun. Whenever possible we like to test the products ourselves so you know they are useful and not just a silly gimmick. We hope to see you for our Christmas Sale and you found our comparisons of traditional and LED light bulbs helpful. I'm off to nap for the rest of the day. It's hard work keeping the ladies entertained. But someone has to do it.